what kind of holiday traditions do you have? having been married almost 2 years now, bee and i are starting to develop our new own holiday traditions. one of our favorite traditions i detailed last week about going to cut down a christmas tree. one of bee’s other traditions is to be the first to mail out our christmas cards. it’s a point of pride for her when someone tells her that our christmas/holiday cards were the first to arrive in the mailbox. this year she wrote them out on the morning of thanksgiving. i think one holiday tradition alot of folks partake in is cookie baking. we’ve gone the fresh fudge route and probably next friday or saturday, bee will make 10 – 15 pounds of different types of fudge for our family members. i know my folks always look forward to it and it always gets rave reviews (and makes me put on a few pounds, haha). i think certainly as we get older and our family continues to grow, we will certainly have more traditions to enjoy, but those are a few of ours so far. 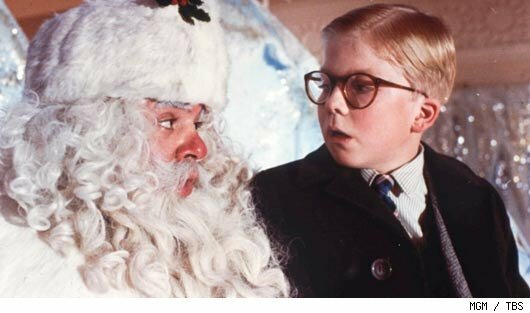 i always enjoy watching “a christmas story” all day long on TBS but that isn’t exactly a “family” tradition, haha! growing up our tradition was to always sit at the top of the steps and take a photo together before we went down to open our presents. this tradition probably continued until we went to college. we started to loathe these photos as we got older, but it’s something we can look back now as we are grown adults and appreciate. one last wonderful holiday tradition we have in our household is to celebrate my birthday all week 😉 on the 29th, i will turn 29. interesting how time flies by these days.